Available in ebook or print. When Nell Draper leaves the workhouse to care for the five year old son of Lord Eversham, a wealthy landowner, she has no idea of the heartache that lies ahead of her. Robert can’t speak. He can’t tell her what makes him happy or sad. Nell has to work that out for herself. Not everyone is happy about Robert’s existence. 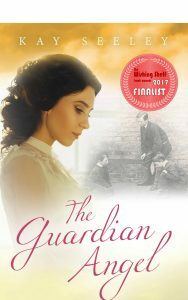 Can Nell save him from a desolate future, secure his inheritance and ensure he takes his rightful place in society? A love story. 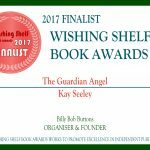 The Guardian Angel has been selected as a FINALIST in The Wishing Shelf Book Awards 2017. 5* Robert Edward Henry Eversham is the oldest son of Lord Eversham. He was born mute and he was diagnosed as being slow at two years old. Nell Draper was sent from the workhouse to be his nursemaid. She was to have 24 hrs a day care of him. He was six.